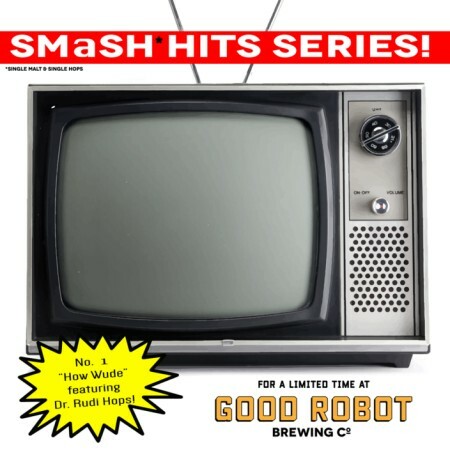 HALIFAX, NS – Good Robot Brewing has announced the release of the first in a series of single malt and single hop (SMaSH) beers that they are calling the SMaSH Hits Series. According to the announcement, the series will be “a tribute to misfits who made it to primetime” on television, including Bob Saget, Roseanne Barr, Drew Carey, and Ilana Glazer & Abbi Jacobson. The next instalment brewed with Pacifica hops will be released later this month, with the name and actor being honoured still to be announced.